I pinned this illustration of King Midas with the donkey ears he received as punishment from the god Apollo, after preferring Pan’s musical talent. Because it was made in the 1300s way after the Ovid wrote about it, this piece shows the story's lasting influence and prevalence. 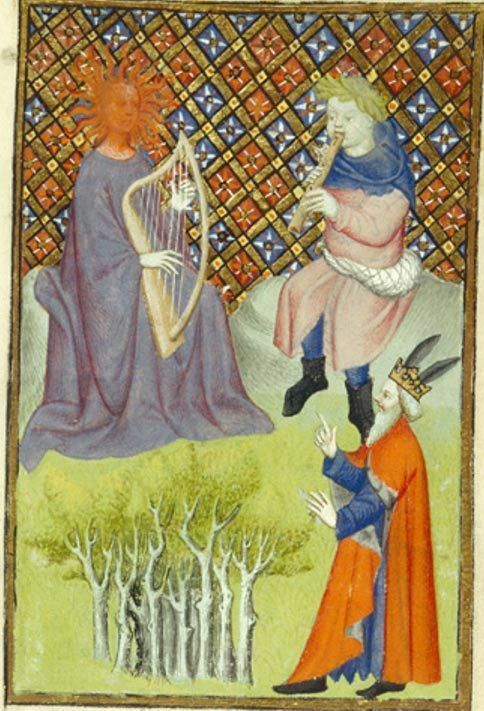 (Christine de Pizan, Apollo after preferring Pan’s musical talent, 1364).